The social economy offers a space for democratic activities based on principles of human values that contribute to local development in a double sense: development of the individual, and local or community development. Considerable innovation and significant contributions to quality of life thrive within the social economy in the Atlantic region. Organizations vary tremendously, not least in terms of how successful they are in meeting the immediate and longer term objectives to which they and their supporters aspire. What is at stake is the democratization of the economy, creating a space for dialogue and debate, building partnerships, networks and capacity for innovation, sustainability, democracy and justice ? in other words, a social economy. 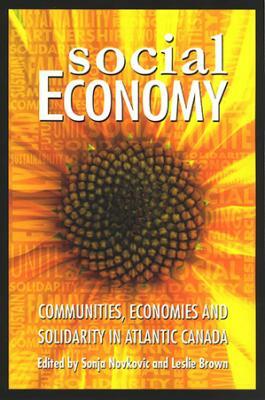 This book contributes to the growing literature on the social economy from the particular perspectives of Atlantic Canadians who have been part of the Social Economy and Sustainability Research Network. It illustrates the importance of the sector to the region?s social, economic and public life while exploring its potential for postive change.